From left are Dr. Marjaneh Gilpatrick, Dr. Kimberly LaPrade, Dr. Lynn Basko, Crystal McCabe, Kimber Underdown, Dr. Jeff Martin and Dr. Brandy Miller. 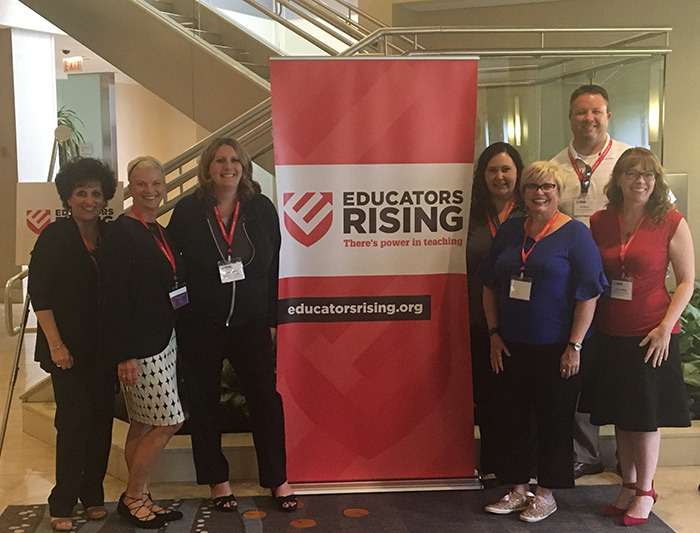 Seven leaders from GCU’s College of Education made an impact at the Educators Rising National Conference last week in Orlando. Along with COE Dean Dr. Kimberly LaPrade, the educators judged a national contest of teenaged future teachers and made presentations about the joys of teaching. See the recent story here.